Kids generally like to play and interact with each other. The playground is the first place where kids meet, play and interact with each other. There are many different benefits that kids enjoy when they play together. These benefits are physical, mental and social developments. When kids play, they are agile and physically fit. 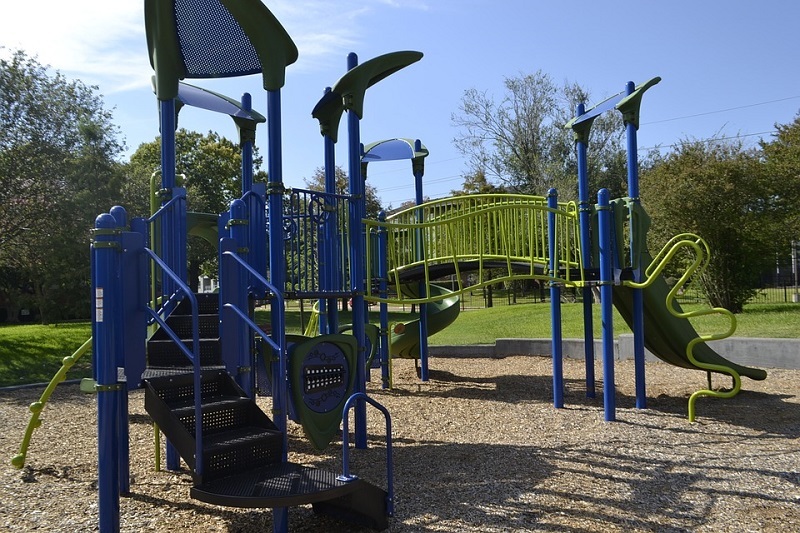 Playground and playing equipment make the kids run around the place and also participate in different fun activities. Fun activities like sliding, jumping, climbing, running, swinging increase breathing and metabolism that facilitate physical fitness and improve healthy living for kids and young ones. Most kids meet and play with each other on the playground. They know and develop friendships with each other. This has a positive impact on their social lives. They get to be around, talk and interact with each other. Social development and interaction start from the playground. Kids that are taken more frequently to the playground are found to be more outspoken and sociable than the kids that are always indoor just playing computer games. Kids learn fast and interact with their surroundings; they learn from each other and do what they see other kids doing. So, for your kids to be more sociable and athletic, it is always the best way to take them out to the playgrounds and recreational parks. Playing with other kids also increases their self-confidence. They do what they think they can’t do and also engage in risky activities such as climbing. This increases their social and self-confidence. A kid that is able to navigate and climb up a wall or walk up a rope or ladder is very confident and happy about his/her self. Such kid is observed to have a sense of accomplishment and an increased self-esteem. A kid that could go through a tunnel or a stay quiet in a hide-out will definitely have an increased confidence. Such kid will not be afraid or easily frightened by darkness or when left alone. The playground also benefits kids mentally by developing their brain as they learn different things on the playground. The brain development of the first few years as a kid is very important because that is when the sensory, motor and all other brain developments take place. Most kids are observed to be more intelligent and also possess retentive memory about things they did on the playground, which they put to practice even when growing up. It is not just necessary but very important to take your kids to the playground as many times as possible because the potentials or skills of any kid could be discovered on the playground. There are different play equipment for kids such as Adventure Parks, Ball Pools and Trampolines, sliders and many others. If you need a playground instruments for your kids, there are many Toddler Playground Supplier and manufacturers available. Every kid is happy when their parents buy them a playing equipment, so make your kids happy and get them that wonderful playing gift. There are different wonderful playing equipment you can get for your kids as a gift such as the Donut Slide. Most kids love the Donut Slide because it slides them from the top to the bottom with ease. They feel wonderful as they slide with a bit of adrenaline rush. They are always excited when climbing to the top and sliding downwards. If you are looking for how to get a personalized custom made Donut Slider, there are different Donut Slide Manufacturer available that can manufacture a custom-made slide for you. Your kids will be very happy getting a personalized Donut slide as a playing instrument. Kids are also known for their love towards Trampoline on the playgrounds. The reason for this is not far-fetched as many kids mostly gather and jump on the Trampoline with ease due to its flexible and elastic nature. Get a Trampoline for your kids as they can easily learn how to jump with it. You can get a custom made Trampoline as well as any Trampoline spare parts in case you have any defective or non-functional parts that you need to change. Trampoline are of different colors, it is better to get attractive colors. A blue or dark color is ideal for boys while pink or red color is ideal for girls. The total well-being and happiness of the kids should be the top-most priority of every parent and it is very important to give them the best at a tender age because that is when their development starts. As a parent, it is your duty to ensure all-round development of kids. Parents should bear in mind that playing as kids is not only necessary but also very important. Develop your kids physically, socially and mentally by buying them playing equipment or taking them to playgrounds.